The UBC Thunderbirds faced plenty of adversity and had their share of doubters this season, but not once did they ever stop believing. 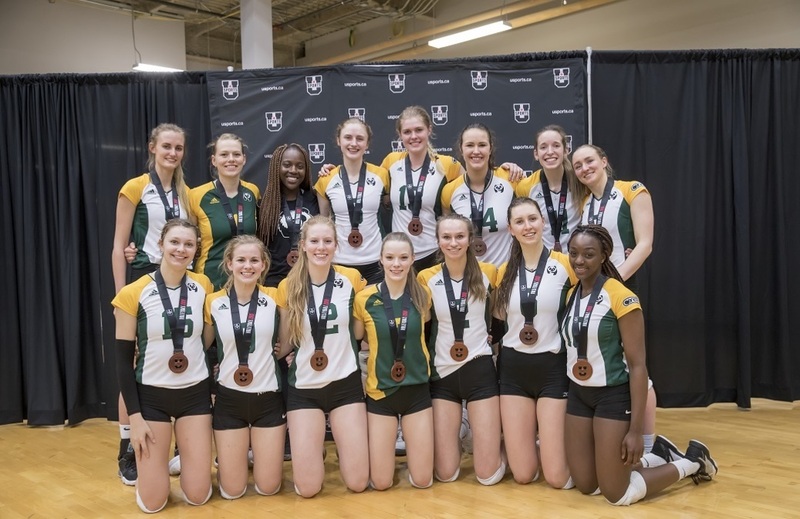 They entered the 2019 U SPORTS Women’s Volleyball Championship as underdogs and the No.8 seed, but they’ll walk out of the Saville Community Sports Centre as national champions for the second time in three years, after a thrilling five-set come-from-behind victory over the defending national champion Ryerson Rams (14-25, 20-25, 25-20, 25-20, 15-11) Sunday night. Sophomore outside hitter Kiera Van Ryk led UBC with 24 kills and 13 digs and fourth-year middle Tessa Davis provided a big performance with 15 kills and nine digs for the Thunderbirds. Senior middle Theanna Vernon led Ryerson with 12 kills, two aces and three digs in her final game of her university career. “I’m so happy and grateful for the work and ability to get this job done. Day 1 we were only a couple of points from being on the other side of the bracket,” said Thunderbirds head coach Doug Reimer. 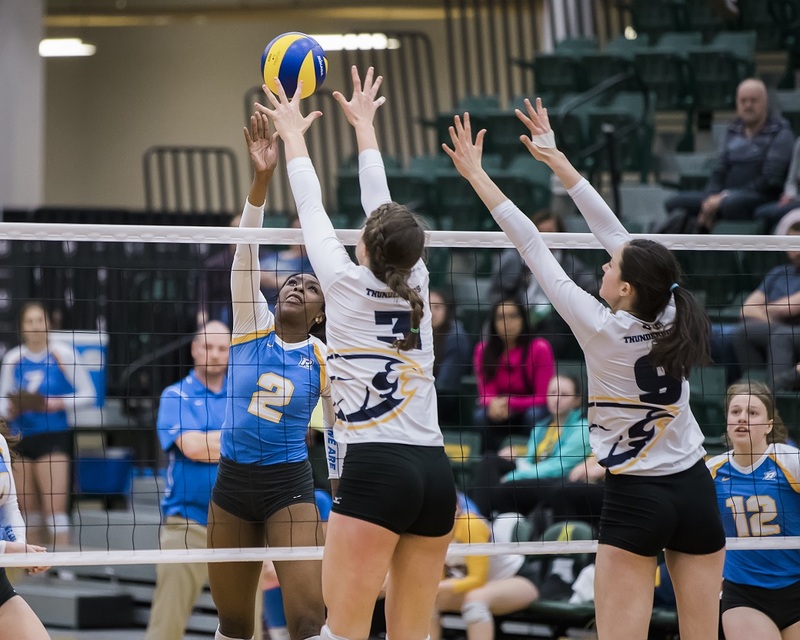 Ryerson entered the championship final red-hot having swept both Calgary and Alberta and they looked even more dominant in the opening set, beating UBC 25-14. The T-Birds’ fortunes didn’t get much better in the second set, dropping 25-20, but UBC never counted themselves out. If they could win just one set against Ryerson, how would they handle adversity for the first time in the tournament? “It was a change of mindset,” said Van Ryk, who took home Tournament MVP honours. “We just felt we had nothing to lose, and just fighting as hard as we can and show them what we’ve got. After grinding out the third-set win, UBC was very sharp in the fourth set, producing an attacking percentage of .406. UBC leaned on the reigning U SPORTS Player of the Year and Van Ryk came through with 11 of her 24 kills in the final two sets, including eight to send it to the fifth set. 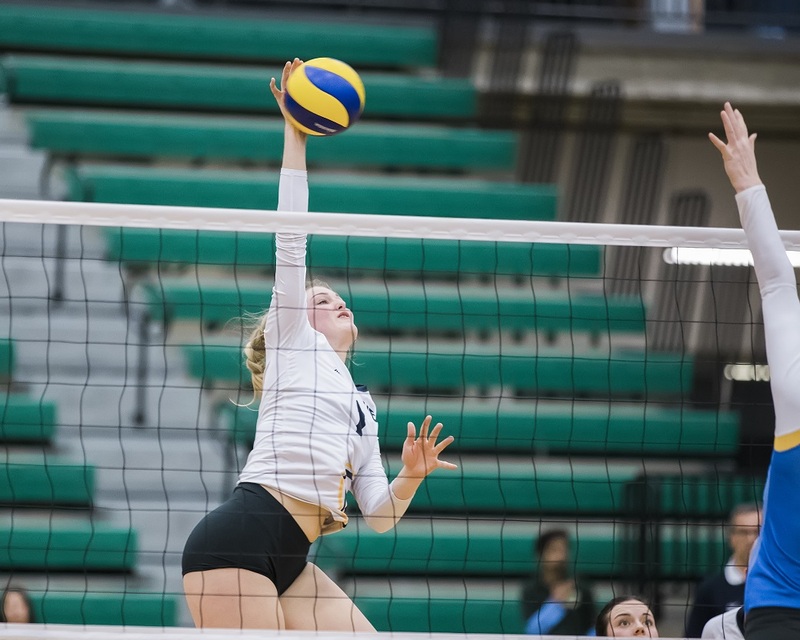 In a battle of the “Killer Vs,” Van Ryk outperformed Ryerson’s dynamic duo of Vernon and third-year outside hitter Lauren Veltman. It wasn’t just Van Ryk, who came through in the clutch for UBC on their road to gold. Davis was a big presence on the court, and her 15 kills was the most she recorded all season. Fourth-year outside hitter Anna Price, who missed the first half of the season due to injury had her best game of the season with seven kills and seven digs. For Ryerson, losing their chance at repeating as national champions definitely hurts, but their program once again showed they belong on the national stage and will continue to be a force in the future. 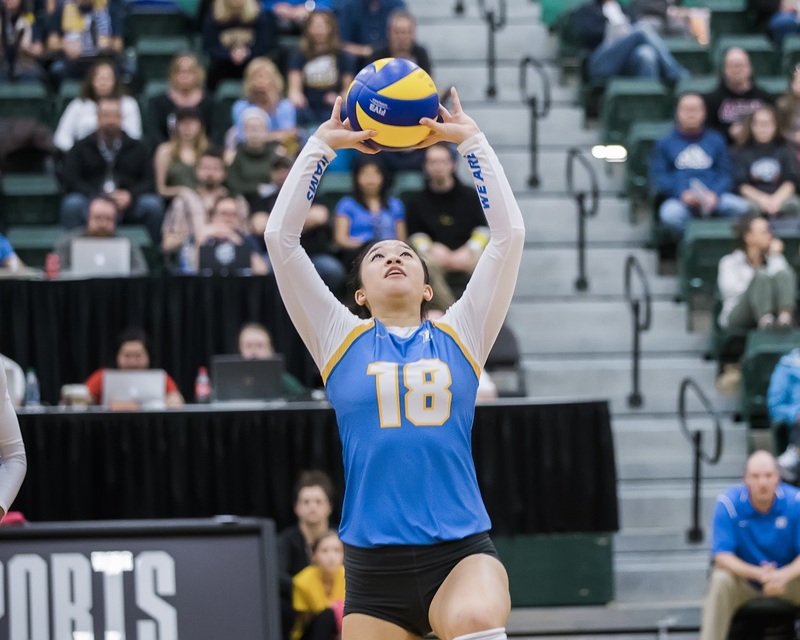 The Rams looked in full control to win their second straight championship, but when UBC gained life with the win in the third set, Ryerson couldn’t recover. “We got tentative and nervous trying to protect a lead we earned. We have a lot of youth on our team, and it was evident,” said Reid. “UBC did a great job at making adjustments, and we weren’t able to catch up. At the end of the day, we weren’t able to play as aggressive as we wanted to in those latter three sets to score enough points. 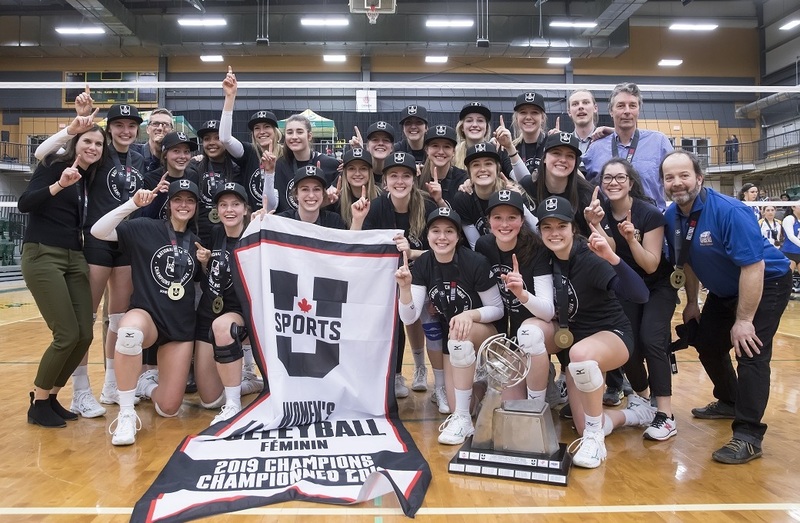 As the Exclusive Volleyball Supplier of U SPORTS, Mikasa has reaffirmed its commitment to university sports in Canada and will provide match balls, as well as other prizing to the U SPORTS Men’s Volleyball Championship and the U SPORTS Women’s Volleyball Championship in 2019 and 2020.